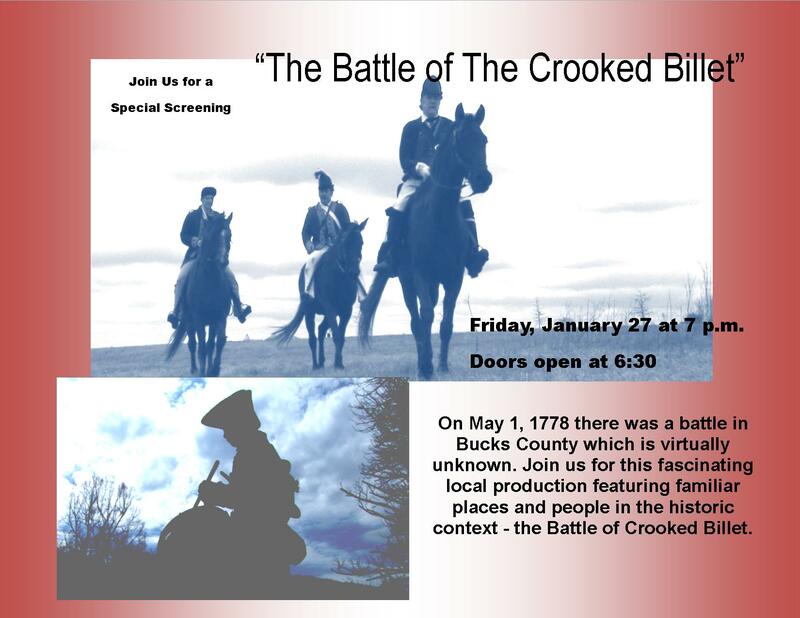 On May 1, 1778 there was a battle in Bucks County which is virtually unknown, the Battle of Crooked Billet. This battle was a perfect example of how the Revolutionary War was really the nation’s first civil war. People were divided in loyalty to the British and the desire to become an independent country. The Revolution put family member against family member, friend against friend, neighbor against neighbor. In addition, it is Bucks County's only battle of the American Revolution . Scott Randolph produced and directed this award winning documentary, using regional scenes and actors making a true local production. Afterwards, there will be a Q&A about the battle and the making of the film. RSVP - the Event is free to the public but seating is limited.